According to the final figures for 2013, goods throughput in the port of Rotterdam was 440.5 million tonnes, the Port of Rotterdam reported today. In December, throughput was expected to remain equal to the previous year. The new figure is one million tonnes lower than the provisional figures of 19 December last. Compared to throughput in 2012 (441.5 million ton), this is a fall of 0.2%. However, for 2013 the port of Dordrecht’s throughput was integrated for the first time in Rotterdam’s figures. If the three million tonnes of throughput made by Dordrecht would not have been counted, Rotterdam’s loss would stand at 0,8%. Since January 2013, the sea port of Dordrecht (throughput approx. 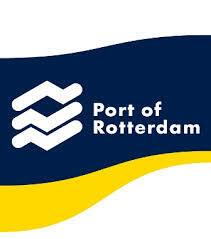 3 million tonnes a year) has been operated by the Port of Rotterdam Authority. Dordrecht throughput has therefore been included in Rotterdam’s throughput figures for the first time this year. For the separate categories of goods, the deviations are a maximum 0.5% compared to the provisional figures. This concerns differences both upwards and downwards, with the exception of other general cargo, which showed a 19.6% decline, as opposed to 18.2% with the provisional throughput figure. See the attachment for the final figures in detail.